On 19 March 2013, 64 college basketball teams will meet on the court for the battle of the year. In the United States, college basketball season ends when elite teams compete in March Madness over the course of four weeks. Teams compete based on their placement in a regional bracket, and either go home or move forward after a single game. Four teams will make the “Final Four” on 6 April, and on 8 April, the NCAA will have its college basketball champion. Meanwhile, as your eyes are glued to the television, action simultaneously takes place in workplaces, social circles, and online. Bracketology, the art and science of placing bets on which teams will advance, is one of the signs that spring is here. Individuals design their own bracket and get points based on the accuracy of how they place their teams. The March Madness bracket inspires spin-offs in all walks of life, from The Morning News’ Tournament of Books to this Vatican Sweet Sistine bracket. 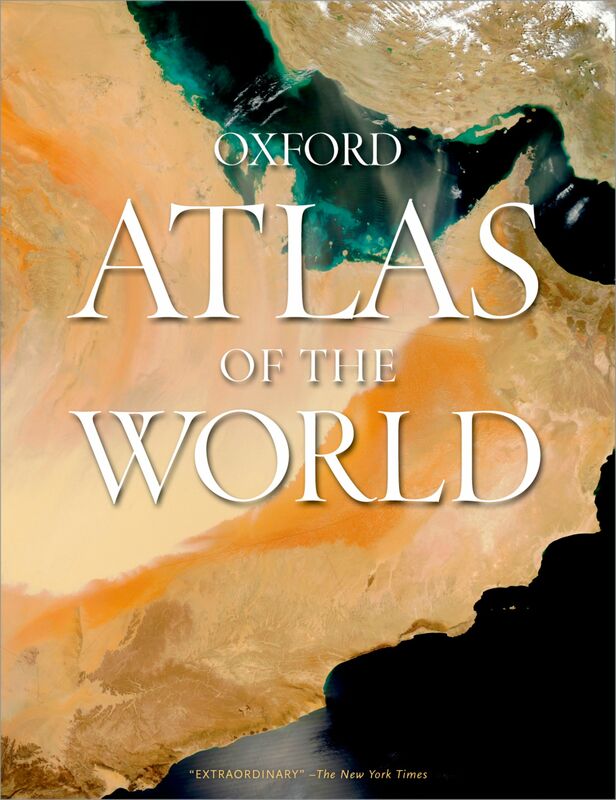 Here at Oxford, we’re celebrating March Madness: Atlas Edition. We’ve selected and placed 16 countries at random for the first round of “Sweet Sixteen.” Each week, we will ask a question that will determine which teams will move forward in the bracket. These questions will be based on statistics drawn at random from Oxford’s Atlas of the World: 19th Edition, and can range anywhere from a country’s level of endemism to its average daily food intake. Sweet Sixteen: 11 March This week: Which country has the highest GDP per capita? The first round begins today with the following 16 countries. To determine the winners in this week’s round, select the country with the highest GDP per capita within each bracket. The eight winners from each bracket will meet next week, judged by a set of statistics pulled at random from the atlas. 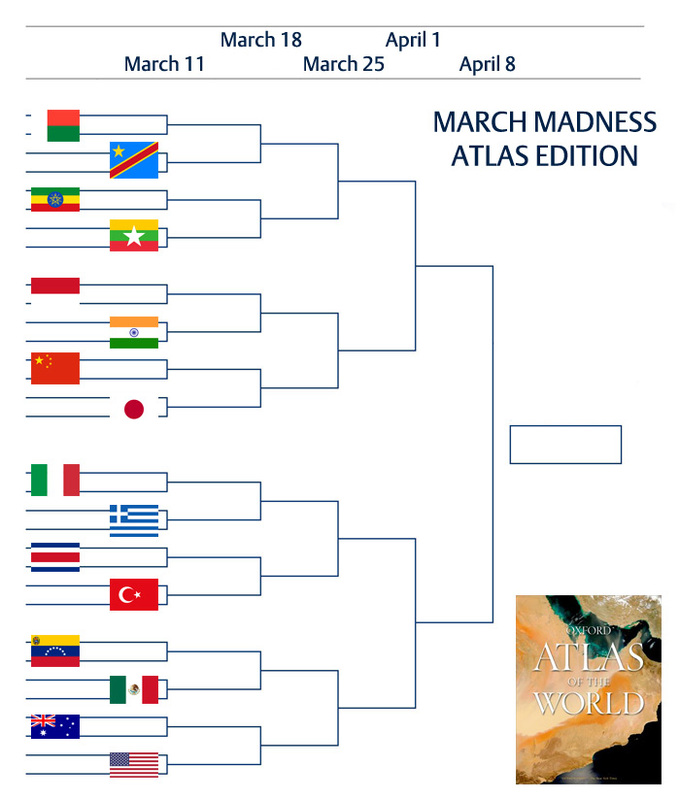 You can print out our Atlas bracket (above) and place your bets, or play along on our Facebook page. See you on 18 March for the Round of 8!